This recent project is a fantastic example of how kitchen design can be used as a tool for self-expression. The new kitchen is from our Kitchen Stori range, specifically Strada in Dust Grey Gloss, and has a number of unique features which transform it into a completely new space. 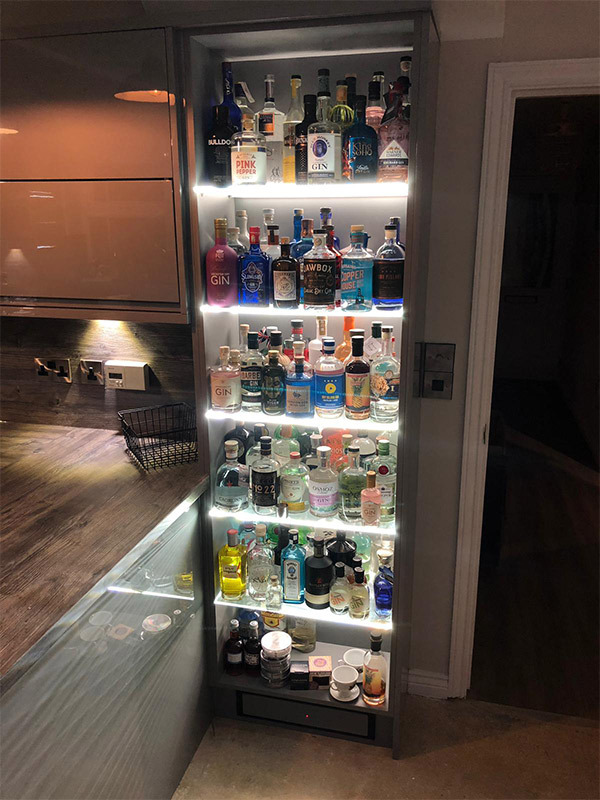 A bespoke fitted shelving unit, complete with lighting, was installed as a gin display cabinet. 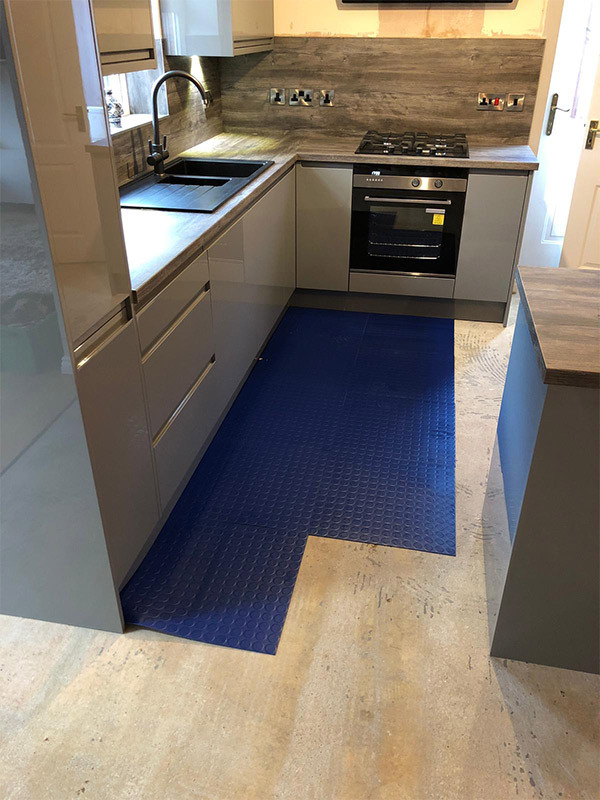 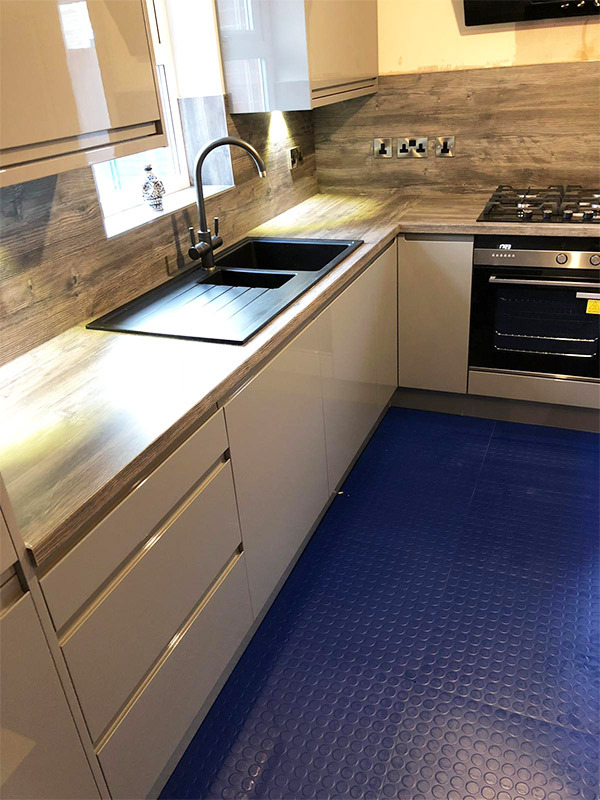 The existing tiles were replaced with BLUE round rubber stud tiles from the Rubber Floor Store in Sleaford & fitted by GWH Flooring. 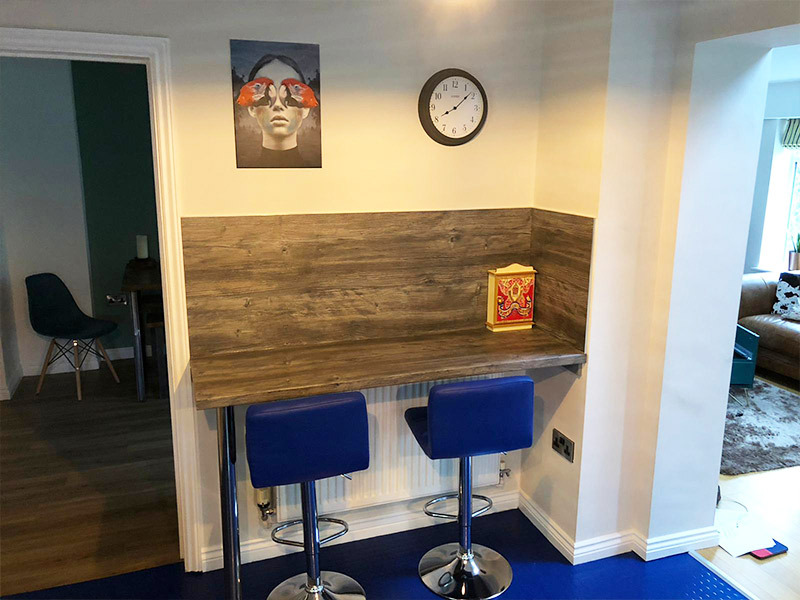 Blue bar stools were inserted at the breakfast bar to match the flooring. A better use of space. 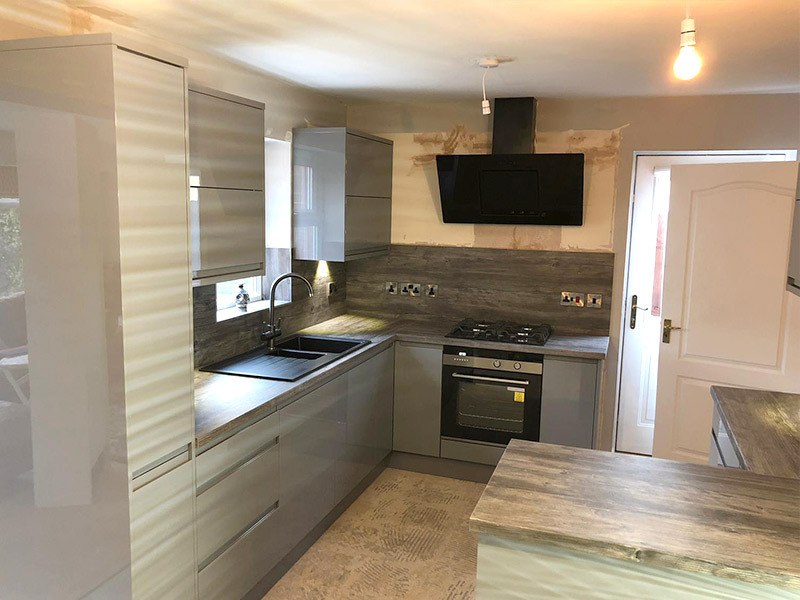 Other stand out features of the new kitchen include; a change of layout, glossy dust grey units, and wood-effect worktops and splash-backs. 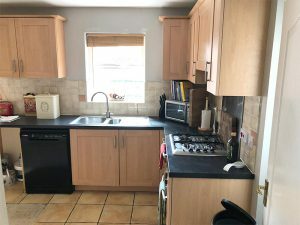 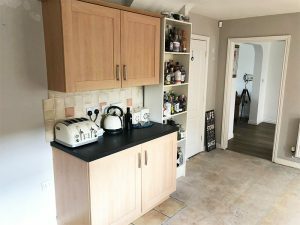 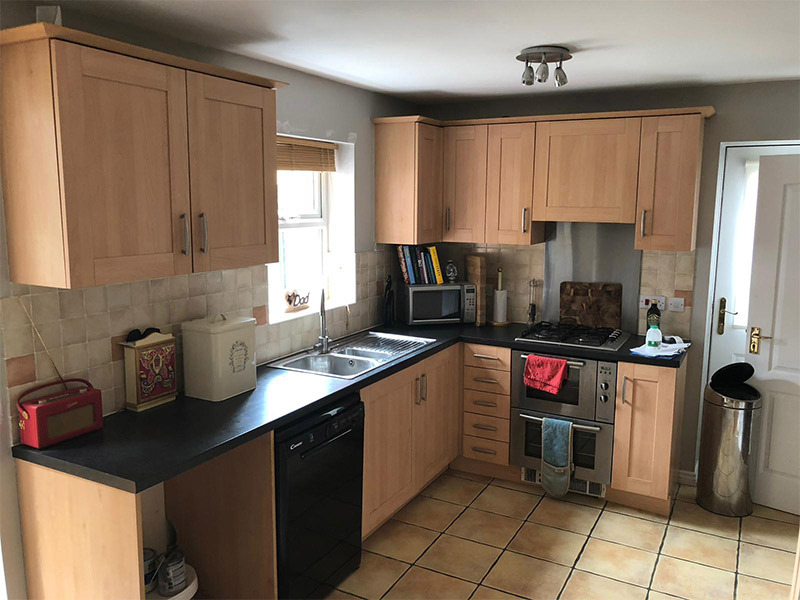 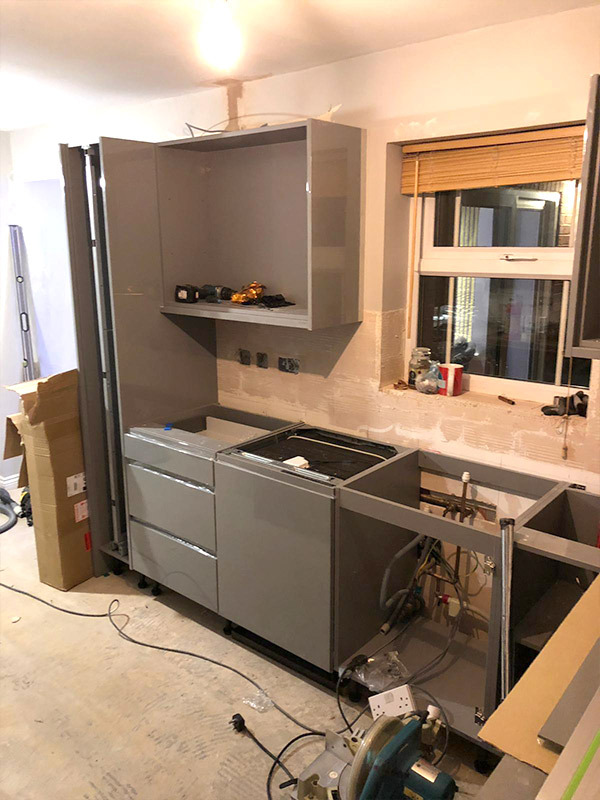 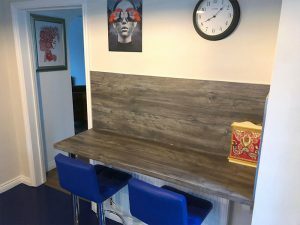 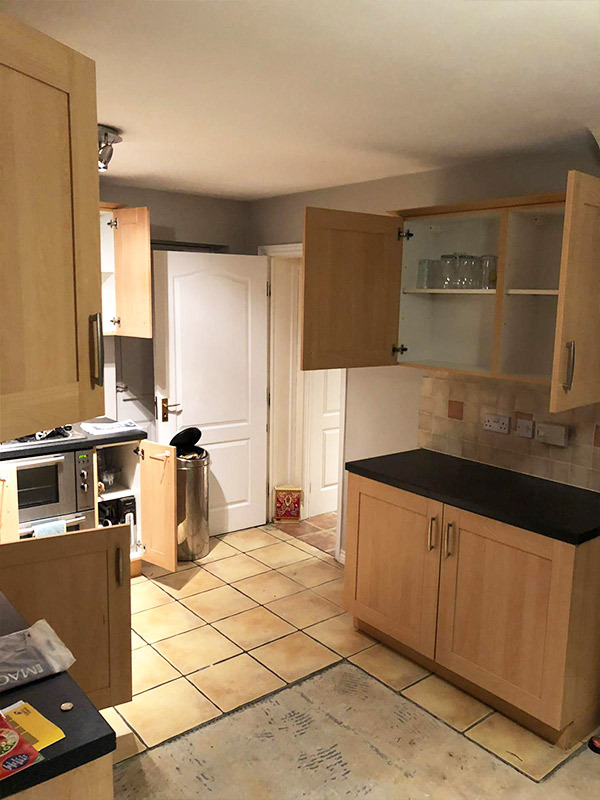 After the layout was changed and additional worktop space implemented. 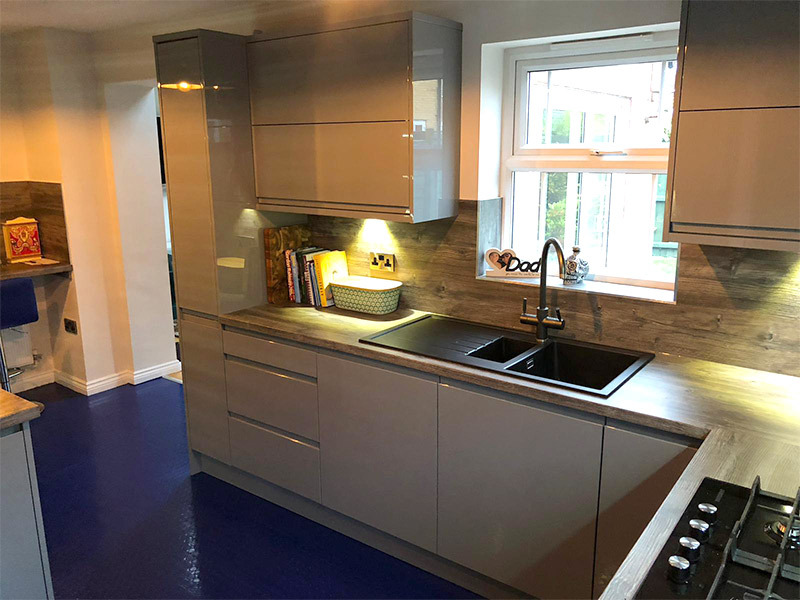 Glossy units accompanied by wood-effect worktops & splash-backs. 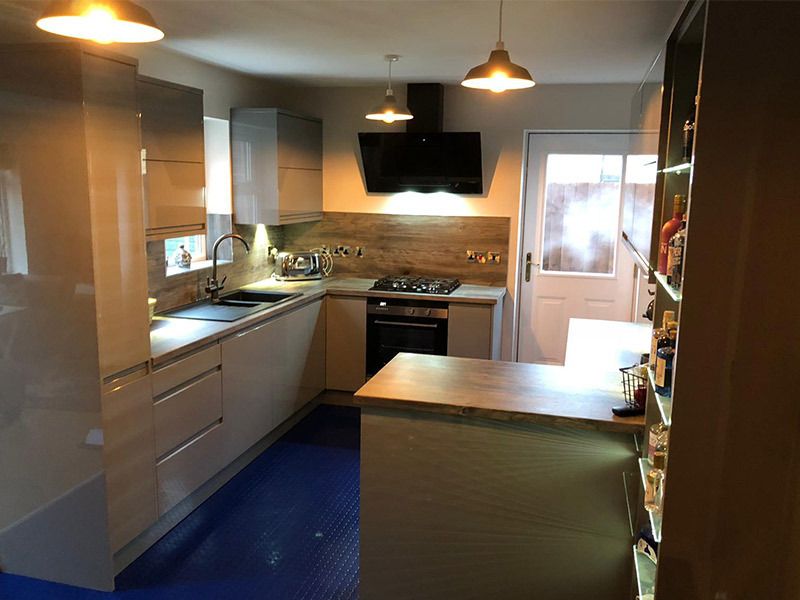 All in all the new kitchen is a striking and individual space. 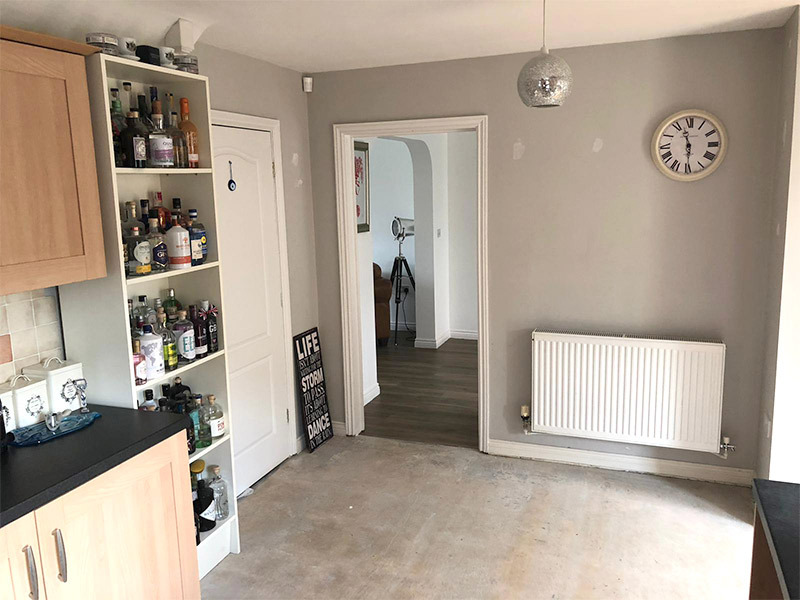 View the transformation process below in slideshow mode (click any image to begin). 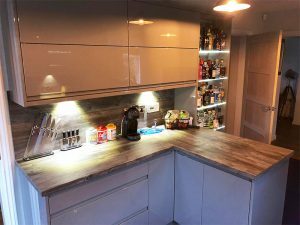 Whether you’re looking to create a unique space or something simple but beautiful, we are here to help. Visit our Navenby based showroom Monday – Friday 9-5 or Saturday 9-1 for ideas, inspiration and a chat with our friendly team. 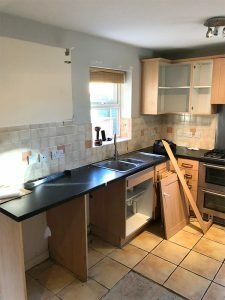 If you have any questions please don’t hesitate to get in touch. 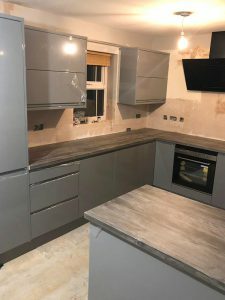 See our gallery to view other projects.